All details for New York and Sint Maarten Portal 2012 conferences have been finalized. You can register now. I have received clearance to start releasing new intel about the Plan after October 7th as certain opposition from the dark forces has been removed. As a result of this, I am also open for new interviews. Those interested in interviewing me can contact me at cobraresistance@gmail.com. Awesome good news!!! United in Love we are One! It is indeed happening as we had hoped and nothing can stop the Light and Love as God has intended! Divine Peace, Abundance, and Joy are just around the corner in a world of Love and Light! Thank you for this update Cobra and all that you - and all of us Lightworkers do! Together we are making it so! Namaste! Love and gratitude. I've been looking forward to October 7th. To my Russian friend that wanted to know about 'Ura" and where I am from: I am a member of the Comanche Nation of Oklahoma. Do you speak Comanche? = unha numu tekwa?eyu? How are you? = unha hakai nuusuka? Fine, and you? = tsaatu, untse? I'll see you tomorrow! = noo nu puetsuku u punine! My name is ______. = nu nahnia tsa ______. What's your name? = unha hakai nahniaka? What's the Comanche word for _____? = hakai _____ numu nahniaka? Do you understand me? = unha nu nakisupana?inu? How old are you? = unha huu tomopu? As I was riding the bus to my college on Friday morning of 10-5-2012, I saw a time and temperature clock that read: 07:44/44 degrees. Question. Part of the conference program is THE EVENT, which consists of the removal of the dark forces and the new financial system. Does this mean that this will not happen before December? For me and many of my friends, the change cannot come soon enough, we are all in deep financial trouble. People are still dying from cancer, starvation, etc. Thanks for all your sincere efforts. hi rb, I wondered the same thing myself. What might be the case is that since it is a fluid situation, and since the date of 'the Event' cannot be revealed for obvious reasons, it must be appear on all of the conference programs. If you will notice, there is mention made that topics presented may be subject to change. How awesome to be at a conference where it had already occurred ! I am one of the people who is dying with cancer so this is extremely good news! I am trying my best to make it. Bless you Cobra! Please have a look at this, who knows it may help. "Nova Scotia Marijuana "Cancer Cure" Grower Rick Simpson Found Guilty"
"It may be better to lock me up right now. As soon as I get home I'm going to treat my patients. I'm going to grow that plant until the day I die, so I might as well be put in jail today. I can't stop in the middle of (treatment). People's lives are at stake here." you are in my thoughts and my loving energy is with you. Get fresh tumeric root at store, peel skin and grate on fine grater on food, This does not have a strong taste and is purported to shrink tumors. Hi Shirley. No need to suffer. If you have the funds, before Dr. Gerson was bumped off for curing people, he created a manual for curing people of cancer. His daughter opened several holistic (cancer curing)clinics. Here's one http://gersonwellnesscenter.com/Gerson_Retreat_Hawaii/Welcome.html. Or you could buy his book the Gerson Therapy. There's one in Arizona, Mexico I think too. There's also Black Salve for tumors http://www.youtube.com/watch?v=n87tZdFASaM or Essiac Tea and many other natural remedies that work. You just have to make sure your sources for your chosen 'natural medication' is pure. The best of health to you. and finding to new health paradigms? THANK YOU COBRA, FOR THE GOOD NEWS. Can't wait to hear the ones that are on the way. Thank you my friend, for the nice explanation. BUT, I am not Russian. I am Armenian. Most Americans don't know about us. Armenia used to be one of the 15 republics of the former USSR. And it's one of the oldest nations, because Mt. Ararat used to be in Armenia (until 1920-1921). So, when after the Deluge Noha's Ark landed on Mt. Ararat, most of the landmass was still under the water. Therefore, whenlater on the survivors multiplied, they started migrating to the other parts of the earth, of the western hemisphere. CORRECT ME COBRA, IF I AM WRONG, (Because I can't explain the huge differences between the races). Dear soul, please remember, that nothing is happening by an accident. You made this decision, before YOU came to Earth. HOWEVER, THIS IS THE TIME FOR THE LAST BATTLE, (for everything). STAY STRONG, AND NEVER THINK ABOUT GIVING UP!!!! YOUR UNSEEN FAMILY - WE, ARE HERE FOR YOU!!!! TRUST IN GOD, AND IN US, AS WELL. BUT ABOVE ALL, TRUST IN THE GODDESS WITHIN YOU!!!!! If YOU believe in NATURAL medicine, please take some time to do some research . http://www.cancerfungus.com Dr. Tullio Simoncini has been a guest on "Coast to Coast AM", many, many times. He's healing ALL KINDS of cancer by using the common baking soda. http://www.cancertruth.net Ty Bollinger, is one of the leading experts in this area. http://www.myheartbook.com Dr. Christian Wilde is using stem cells. Extremely effective, and harmless. AND BE PROTECTED , AND HEALD BY THE ARCHANGELS!!!! ( especially, if you don't know, ask AARAPHAEL). PS. You know what... please contact me, so we can chat. Don't keep it inside of you, let it out. Very Grateful to hear some good news, Cobra. If I weren't financially challenged like a lot of your fans, I would be signing up for a conference. Good luck to you in finding what works for you, and that it enables you to live to see the spectacular Victory that I Believe will manifest before the end of 2012. I live in LA area. I had the choice yesterday to go home or stick it out. I had been ill and got up in a surreal atmosphere I can't describe. Suddenly I knew I would stay and told the I AM presence no way I was seeing it to the end. Almost immediately the dizziness, other symptoms went away and I felt my whole body lighten. It had already done so but not to that extent. I then told my I AM presence that I would heal my shoulder yesterday when I went to my massage healer who also needed to be part of it. Amazingly we were in synch together and about 95% of that problem are gone. I went to meditate and the world felt at peace for me. There are so many still in various kinds of pain but they will find the answers. We are the wayshowers. Look within and ask your angels. I asked and wondered very much how can it be that no bad guys are left outside of this planet. I found this article written by Ishtar Antares in 16th January, 2004, on luisprada.com (the website is now apparently suspended). "Universe came into existence as a result of dynamic tension between the Absolute and contingency [Editor's Note: eventuality, fortuitous event]. Although the Absolute is eternal, infinite and perfect in the area of meaning, his power is limited with the senselessness of contingency as contingency is his logical opposite. Presence of the Absolute in the universe strenghtens positivity and supports evolution whereas presence of contingency strenghtens negativity and blocks evolution. Therefore negativity and suffering never have a higher purpose as some people erroneously think. Only good can bring about good. Purpose of the Absolute is to permeate contingency with his presence and to lead the evolution of the universe to a point where all contingency will merge with him. The Absolute has chosen a Local Cluster of Galaxies as a sector in the universe where the most negative part of contingency will be resolved. The archidemons were angelic beings who have chosen to delve into the contingency of matter millions years ago in order to transform it with their consciousness. They were carrying this too far and with mutual implantations they lost their awareness and got lost into darkness. Thus Dark Lords were created. They began to attack planets, to implant and enslave the population there and to create mutant races with genetic engineering. The Ascended Masters have limited this infection of Darkness to our galaxy and M 31 Galaxy in Andromeda. The Forces of Light have gathered their star fleets and began to liberate infected areas. Thus galactic wars began. The Forces of Light were most succesful in Andromeda Galaxy and the Forces of Darkness were running away into our galaxy. Around the Central Sun of our galaxy an advanced civillization came into existence which began to create a Galactic Network of Light. The Galactic legend says that the Galactic Network of Light will be soon completed and then all darkness will vanish from the universe. So Dark Forces had to run away from the area of light in the centre of the galaxy into less evolved surroundings. They have chosen a planet of darkness, orbiting a star named Rigel in Orion as their main stronghold. The central point of Darkness was a captured angelic being which was changed into a horseshoe shaped deformed creature with a very powerful implantation process." "The success of the Forces of Light was such that for 25 thousand years the main area of darkness was limited to a certain sector of the Galaxy named the Local Logos. This is a galactic sector with its centre in the Pleiades and a radius of about one thousand lightyears. 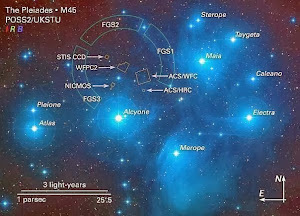 Inside the Local Logos, the Forces of Light had their main centres in the following star systems: Pleiades, Sirius, Hyades, Betelgeuse, EL AN RA stargate in the belt of Orion, Horsehead nebula in Orion, Vega, M 27 planetary nebula in Lyra, Alpha Centauri, Epsilon Eridani and Tau Ceti. The Forces of Darkness had their main strongholds in the following star systems: Rigel, Alpha Draconis, Zeta Reticuli 1, Zeta Reticuli 2, Epsilon Bootes, Altair, Capella, and Barnard Star. The penetration of the Light Forces had provoked a violent reaction of the Dark Forces and a mutiny [N. of E.: against the Light Forces] of various mutant races throughout the galaxy which have decided to change planet Earth into a quarantine and to use its population as hostages to stop the Light Forces. 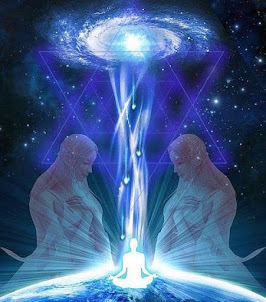 When Earth became a quarantine, Ashtar achieved his ascension with assistance of his living mandala and thus opened a door to a project of Ascension Waves, which will occur at the victory of the Light Forces on Earth. Ashtar's ascension was the last act of the Light Forces on Earth before Darkness came in. Ashtar achieved his Ascension one stellar cycle (platonic year) ago, that is around 23800 BCE. Ascended Masters have left the Earth and Atlantean priests have retreated under the surface. Civillization of late Atlantis was decaying on the surface and nobody could escape implantations that were happening over and over again. Soul consciousness of people sank into oblivion. The Blue Lodge of Sirius created the Order of the Star 16000 years ago to stop the decay of Atlantis and heal the separation but this failed and Atlantis was finally destroyed in June 9564 BCE. The decay continued although divine dynasties of Egypt tried to preserve the tradition of Atlantis. The Central Galactic Civillization intervened strongly on Earth 3500 years ago and influenced the rise of high culture on Crete. Due to considerable sucess of this project, the underground Agartha and the Atlantean network decided to actively intervene on the surface and this caused the prosperity of Graeco-Roman culture. The Order of the Star used this opportunity and through Jesus tried to awaken humanity for a possibility of Ascension and to create an awareness of the divine plan of ultimate victory over the Dark Forces. Forces of Darkness reacted strongly and sent reinforcements from the Andromeda Galaxy. That caused the fall of the Roman Empire and started a thousand years of darkness in the middle ages. The cosmic turning point, which was set for 11th August 1999 already 25 thousand years ago, began to draw near. Around the year 1500, which is one halfmillennial cycle before the cosmic turning point, the Atlantean network and the underground Agartha caused the bloom of Renaissance. Halfmillennial cycle of convergence corresponds with seventy weeks of years from an old byblical prophecy. Around 1750, which is one half of halfmillennial cycle before the turning point, the Enlightenment Movement began to prosper under the influence of Atlanteans and Agarthians. This movement made an attempt to improve the social condition of humanity. Rapid development of science took place that led towards Industrial Revolution. Dark Forces devised a plan for a New World Order as a reaction to that. One quarter of halfmillennial cycle before the turning point, in 1875, Helena Petrovna Blavatsky founded the Theosophical Society and thus triggered a spiritual awakening on the surface of the planet. It was then possible for the Ascended Masters to influence the planetary situation since people were more aware of their existence. True esoteric knowledge, hidden until then, began to spread among people. WW 1 was a reaction of the Dark Forces on this awakening." " In 1937, which is one eighth of halfmillennial cycle before the turning point, the Dark Forces wanted to prevent a new awakening and prepared WW 2. 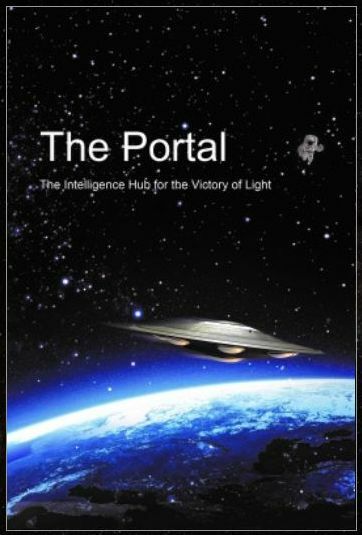 When this war was over, the Light Forces have cleared vast sectors of the Galaxy and the Galactic Confederation began to actively intervene in the consciousness of humanity with new teachings and appearances of UFOs. In 1968, which is one sixtieenth of halfmillennial cycle before the turning point, a spiritual awakening happened in the shape of Hippie Movement and the Sexual Revolution. This was the peak period of American space program, which is the greatest publicly known achievement of Earthlings in the area of space exploration. As a reaction of the dark side a stroke of Andromedan Dark Forces happened in 1975 which caused a downfall of the Hippie Movement and almost destroyed the space program. Other consequences of this stroke were not publicly seen, although they were even more painful. Through the intervention of the Absolute on 25th May 1975 a cosmic doorway opened on Earth, which began to transform the Darkness of this planet. 1/32 of halfmillennial cycle before the turning point, at the end of 1983, the Absolute has revealed a vision of the end of linear space/time continuum to certain individuals and thus anchored the time axis of eternity on this planet. On 17th August 1987 hundreds thousands individuals have opened the doorway of Harmonic Convergence, which strenghtened a connection between the Galactic Confederation and Earth. The Absolute has set planet Earth in the center of his attention by opening a dimensional doorway which causes a lifting of planetary consciousness from the Third towards the Fifth Dimension between 1987 and 2012. 1/64 of halfmillennial cycle before the turning point, on 11th January 1992, multitudes of star people have opened the doorway of 11:11. Through eleven gates of 11:11 the Absolute will anchor higher aspects of the first eleven rays. Between 1994 and 1996 there was a time window for a possibility for the first wave of Ascension. The probability of success was around 40% and Ascended Masters did everything to make this happened. But incarnated star beings on Earth decided with their free will mainly against the Ascension Waves, the key individuals have accepted incorrect decisions and so the critical mass had not been achieved. Whole project was thus postponed to a period after the public physical contact with extraterrestrial civillizations. This will ease decision for many and citical mass will be easily achieved. With the purpose of preventing the entry of humanity into a New Age a cosmic stroke of Evil Forces happened on 11th January, 1996. This was the most terrible attack on Earth in the last 25 thousand years. There was a nuclear war on etheric and astral plane that luckily did not spread towards the phyical plane, since humanity used its free will to say no to a nuclear war on the physical plane. This cosmic stroke of the Forces of Evil has almost destroyed the Light on Earth. All remaining anomaly of the universe was streaming towards the Earth through infected Local Logos. Other sectors of the galaxy and the rest of the universe were being liberated from Darkness and were in their final purification. On 17th May 1998 the winter solstice point on the ecliptic has crossed the Galactic Equator. That only happens once in 25 thousand years so this was the end of the previous and beginning of the next 25 thousand years cycle." "On 11th August 1999 at the total solar eclipse a cosmic turnnig point occurred in the form of the Fourth Gate of 11:11. 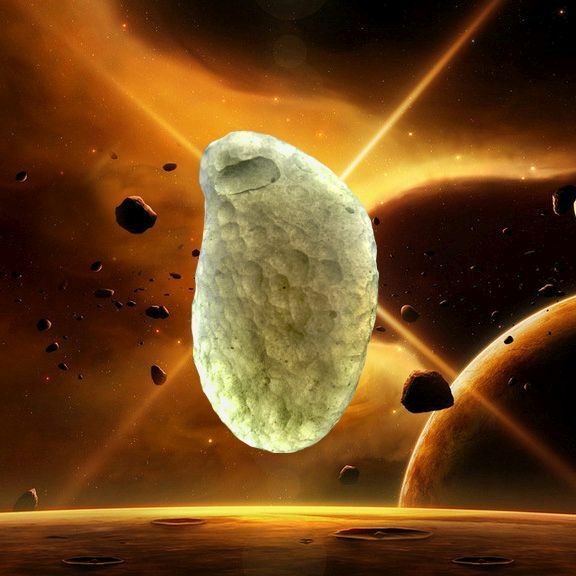 The Absolute transmitted then a special key to the universe, a key called the New Heaven. This key is a tool which enables the universe to purify itself from the darkness completely. At the Fourth Gate of 11:11 this key has completely purified the whole universe except the Local Cluster of Galaxies. In December 1999 a mutiny against the Dark Forces happened on Planet X and in few weeks of severe fighting Planet X was liberated on 21st December 1999. Many members of Resistance Movement have come to Earth into the underground where they are waiting for the right moment to liberate Earth as well. By using the key of New Heaven the whole Local Galactic Cluster was purified from Darkness on 25th March 2001, except our particular solar system. 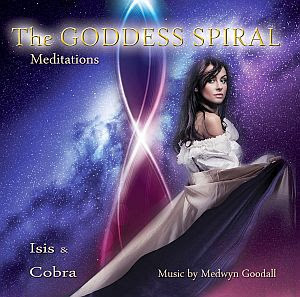 Dark Forces used the midway point between the Fourth Gate of 11:11 and Harmonic Concordance in September 2001 which served as a Dark Stargate and orchestrated the 9-11 attack. This attack strenghtened fear consciousness in people and enabled the representatives of Draconians and other mutant races to gain even more power in key positions of the System. This event also postponed the public announcement of NESARA, which is a plan of the Light Forces to renew the financial system, erase private and public debt, end inequality and establish world peace. At the activation of the Fifth Gate of 11:11 on 19th October 2002 the Absolute began to transmit a new key to the universe, named New Earth. This key is a subkey to a key of New Heaven and is a tool for purification from Darkness for planet Earth. The next part of this key will be received at the activation of the Sixth Gate of 11:11 which will happen in May or June 2004. Harmonic Concordance in November 2003 marks the end of absolute rulership of Dark Forces on Earth which lasted seven years, beginning on 11th January 1996 and reaching its maximal intensity in summer 1999 around the Fourth Gate of 11:11. These seven years of darkness are mentioned in many old prophecies and have caused ultimate purification of the universe and concentration of remaining Darkness around Earth, where it will be cleared until 21st December 2012, when the Absolute will transmit the last part of the key of New Earth." Sorry for wasting so much space. I couldn't find any working link since luisprada.com is suspended now. I copied it from the cache. would you agree with this historic account? Is this the truth in your opinion? Thank you Crystal Ball ...I found that fascinating. Several parts of it put together pieces of info I have gleaned from various places. 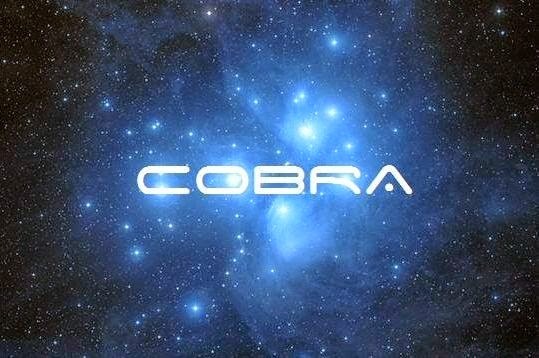 Much of the last part is in agreement with a recent Cobra post which talked about the Order of the Star and its positive intervention in world affairs to bring more light into the human situation. Yes, the pieces match exactly with what Cobra said. Of course it's up to your discernment. However, i am personally skeptical about this matter. A treaty between dark and light forces is existing would be a better description, i think. The final resolution is in our hands, as suggested by some sources, with the graduation from this grand experiment on earth "the polarity integration". thanks for posting such inspiring stuff! I pondered the question whether certain personal requirements must/should be met in order to ascend or if just wanting it is enough - or if even everybody will ascend automatically. If anyone of you would like to share an insight on that I'd be most grateful. Good day everybody. To ascend, we MUST balance our karma, made through thousands of embodiments. To learn about the TRUE Ascended Masters teachings that are being given right now for our spiritual guidance through this "last times" go to sirius.net. Tatyana Mickuschina is the Messenger of the Ascended Masters (spiritual hierarchy for Earth). I don't believe that's true. Ascension is a plan that has always been offered to each and every soul inhabiting Earth. There are many who are unawakened, have no idea about karma, or don't even believe in Karma. I doubt their karma will be balanced considering they're not consciously working on it, and to say they won't ascend doesn't quite ring true to me. @Joth - Here is my take on the whole clearing Karma and who will ascend thing. I personally have been experiencing a Kundalini awakening and massive clearing for the past 5 years. Think "Ascension Symptoms" times 100. I go to a (very legit) healer who can see my energy and chakra system clearly and can blatantly tell me that I have a ways to go before clearing everything. He had been going through a similar thing for the past 12 years. It takes time to clear the negativity accumulated over eons of time naturally. Check out the story of Gopi Krishna and the hell he experienced doing it all on his own in the "short" period of just 12 years through the use of Kundalini. There is just no way everyone on the planet will get it all done before the end of this year or anytime soon after and these are people that are actually trying!! You hear about spontaneous awakenings like Eckart Tolle but I’m sure he has done the work in past life time or is a higher being before even incarnating in order to reach full realization spontaneously while here. The truth IMHO is that we are a long way away from enlightenment most of us, and therefore we will heavily require and rely on the use of divine grace to make the leap in consciousness, it won't happen naturally and suddenly for most people just through our own efforts. That is why we will require ascension light chambers as described through sheldan Nidle's contacts, it's just not possible for us all to accomplish what takes the greatest masters decades to accomplish with discipline and working 24/7 at it, even with the intense increase in energies and with the “ascension bodily codes” being downloaded. Not all the channels mention the ascension chambers (like Salusa) because they want us to work at it ourselves the best we can before receiving the grace (forgiveness of Karmic debt) meant for us. This motivation to raise our vibration on our own allows us to raise the collective vibration to move this grand shift along sooner rather than later and manifest the necessary events (ie we are the lightworkers and wayshowers). So again in my opinion don't worry about who will ascend and who won't since if they haven't left the planet by the end of this year, and I think the majority will stay, it means their soul is willing to continue their growth in the direction of the light but we will ALL need assistance to ascend and that is where our Galactic brothers and sisters will show up to continue in moving us along. 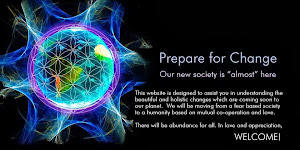 First They will allow us as much as they can to evolve and raise our vibration through their on-site assistance (healing, teaching, counseling, technologies, financial relief, etc), prior to the chambers, and then using the chambers to finish it up and allow the earth to completely transform itself while we transform ourselves (caterpillars to butterflies). It is important for us to do as much as we can on our own because we will take that growth experience we suffered through and learn greatly from it, the more we do on our own the better, but ultimately divine grace in the form of light chambers will be offered to all that want it and it is at that time that we'll be able to leave behind the cycle of duality and exist in a higher dimension as our fully conscious true selves. where as masters try to accumulate a full rainbow body and granted this can take a life time we only need to gain 51% or more attainment of light or positive orientation to continue to 4th density after we leave this plane. The term Kundalini rising is given to the free flow of energy entering through our feet into the red ray energy centre, (base Chakra) with an unrestricted flow of this energy through all energy centres and out through the crown Chakra/violet energy centre and on to infinite intelligence (source)this unrestricted flow of energy is what is known as "Kundalini Rising"
All energy centres must be cleared of all blockages and this can only be done by knowing which emotions/habits/idiosyncrasies/ block each energy centre, eg: red ray = Malkuth, or Earth and is related to survival, orange ray = emotional, or personal complex, this blockage will often demonstrate itself as personal eccentricities or distortions with regard to self-conscious understanding or acceptance of self.........and so on. You do not have to aware of these blockages or even spirituality aware to clear them, some people do it as a natural process of learning that goes with contemplation of personal habits and interactions with others. Yes, definitely others are clearing these things naturally and don't necessarily require the premature awakening of Kundalini energy to dissolve them. I recognize that ideally Kundalini energy should not even be called upon until the clearing has been accomlished otherwise, ooopsy, you are in for it let me tell you. I just have to wonder where all the negitivity lodged in the body will all go for everyone, the ones that are just above the 50% mark but still have a ways to go? It's clear to me that so many have these blockages and it just seems ridiculous to think that in the next few months or years they will NATURALLY be lifted from these things and grow a crystalline body. I think that'll have to happen through the light chambers. I am curious Council of Nine what your thoughts are on the use of a light chamber or anyone else's thoughts? From what I understand when the world transforms fully into a 4th density reality, we'll need crystalline bodies to exist...but I can't picture that happening so quickly with out chambers to assist. An unbalancing of energy centres usually manifests as sickness or an unwell state of the body. Most of the people who are naturally balancing their lower energy centres become spiritually aware once the green ray energy centre has become fully activated as this is the springboard into 4th density thinking and the ways of unconditional love/compassion. My personal opinion on these light chambers is one of incredible scepticism, I personally doubt whether there is any validity in what some are saying as there are no easy ways out, all work must be done by the individual. If there is any truth then I seriously doubt they are entities with good intention. This planet is already 4D activated and has been for many years, the influx of green ray light will increase as time goes on until these yellow ray(3D) chemical bodies will no longer survive on the surface of the planet. From all indications this could be between 1 and 500 years from now, so everyone will happily live out the natural course of their lives. 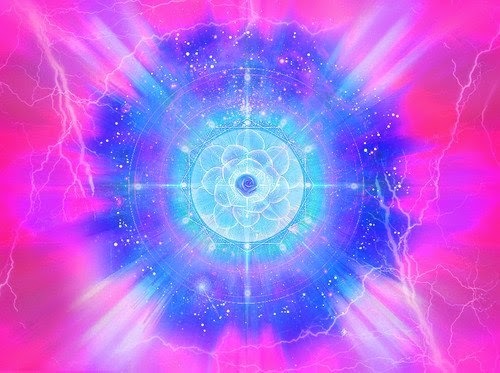 The energy waves that we have been receiving in small ripples should get stronger up until the end of December when we should receive the full impact of, this will start to change our bodies to a more electric type of body that will be more adapted to green ray light, this is the next stage of our evolution and will continue to change us through the generations. It is inevitable that most people will not achieve the 51% light retention or positive polarity, these people once leaving this plane will continue with another incarnation on another 3D planet until they make the choice as 3D is the density of choice.........the choice is to seek the creator, this requires honesty, integrity,communication, compassion, love, will power and a great deal of internal work and knowledge of the self to achieve even the required 51%. Hmm, interesting..thanks for taking the time out to provide your perspective. I hear a lot of ties into the Law of One material there too, which I always found to be really profound. I have a very intuitive positive feel for Sheldan's contact experiences and hence his messages etc, that I personally give the chambers quite a bit of weight. Although I'm always ready to tweak my beliefs for whatever truth gets revealed down the line and by then I think my heart center and discernment abilities will have grown even more. It's clear that the exact plans/options for how all this will play out will eventually be revealed and likely not until the ET's have arrived. There is wide spread ambiguity in the information that comes down about the details of ascension that contrast with each other despite being from "valid" sources. That must have been done on purpose to seed the collective conscioussness options for how it wants to manifest the final days. Like the collective conscioussness on Earth along with Gaia-the-Great get to decide on and manifest the actual ascension process and timeline(ie fast, slow, chambers, no chambers, etc. )..Phew, boggles my mind. One thing I am sure of is that we are on the path to ascension and there is nothing the Dark at this point can do about it! Victory to the Light! Love and Gratitude! SORRY FOR ALL THE CAPS, BUT THIS TIME, I REALLY WANT TO GET SOME ATTENTION, AND ALSO YOUR COMMENTS ON THIS. (Lets keep ourselves busy, and more connected). THE MORE I STUDIED, THE MORE CONFUSED, AND DIZZY I BECAME... (especially the VEDAS... ). No source, no author, no teacher had the same teachings... Every single one of them! I will not tell the whole story. Instead, I will tell, what happened to me, after seeing that. I UNDERSTOOD, REALIZED, THAT IT'S NOT THE KNOWLEDGE THAT COUNTS. IT'S HOW YOU LIVE. BY PRACTICING WHAT YOU ARE TEACHING/PREACHING. BY BEING A TRUE WAY-SHOWER. ''ADVICES" ( yes,he wasn't preaching) IN ACTION IN YOUR EVERYDAY LIFE... IT DOES NOT MAKE ANY DIFFERENCE, IF YOU ARE A MUSLIM, A HINDU, A HEBREW... BECAUSE, WHATEVER HE SAID, IS ALMOST WAHT THE "LAW OF THE ONE" TEACHES US. IT WAS NOT HIS INTENTION TO START A NEW RELIGION (we know it now). Nor HE wanted to be worshipped as A "GOD". THE LAST THING, I'd like to say is this. I agree, when George Kavassilas says that, people who are taking care of their families, or the elders, or the sick, probably will ascend sooner, than those who are spending their precious time on ENLIGHTENING THEM SELVES. That is a "self service", NOT a "service to others". Our DNA is being activated by the coming Source energies. Mother Gaia is getting the same "treatment". In other words, GOD, SOURCE, THE GODHEAD... IS TAKING CARE OF US. ALL WE HAVE TO DO IS - TO TAKE CARE OF EACH OTHER!!!! Yes food for thought, HYE ANGEL. As for the topic of spiritual consumerism, I think in large part it depends on what point in the path one finds themself. For those who are newly awakened, there is usually a voracious 'need to know' which results in the search for external data, in addition to inner journeys. However, for those who have been on this path for an extended period of time, for some there could be less and less of a desire for hard data and information, as it becomes easier to ride the inner energies to true Knowledge. It's a given that we should be of service to others. In the yogic tradition, 'karma yoga' = selfless service, is one of the most rapid and purifying paths to be on. 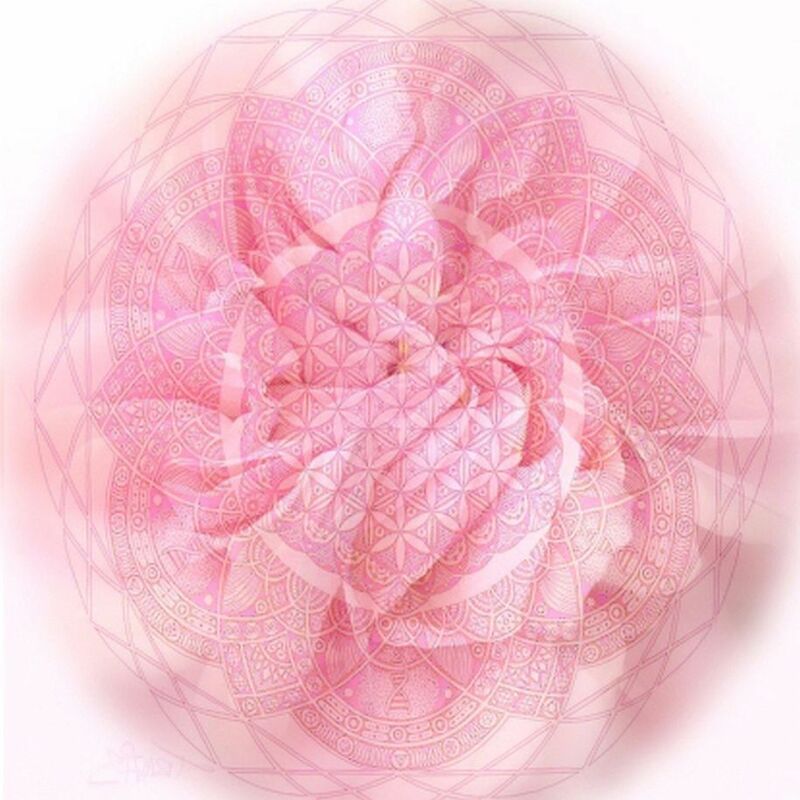 It expands the heart chakra enormously, and instills great lessons of detachment. However, I don't agree that focusing on our own enlightenment is not serving others. We must all seek enlightenment. We are all uniquely responsible for our own evolution, and if each and every person would accept and live by taking responsibility for the entirety of one's expressed and repressed thoughts and actions, humanity would be in a much improved situation by now. By evolving ourselves, we are contributing to the forward movement of the whole. 100th monkey syndrome ? 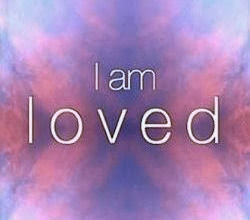 I have the understanding that the key is unconditional love, which is the bright light of the spirit. For me spirit and soul are separate as the soul contains and inhibits the spirit, much like a cage. I am told that when the truth of "all" finally is known to us, when the intense light from our star brothers and sisters radiates through us, that we will remember our abilities and gifts (paranormal/supernatural gifts) which include full understanding and ability to cleanse and purify ourselves and our world. Our reason for being here at this time, as wayseers, light workers, is and will be to serve others unconditionally, not worry selfishly about ourselves (that is our ego). Once we are able to shine our light outward we will be coming together in oneness and all will be possible. I still see many still practicing duality (3D) and even after a very long period of awakening, this seems to be easily picked back up. This duality is preventing many of us from unconditional love. There is no dark/light, no good/evil, no right/wrong, no male/female, etc., those are the illusions. I have seen this said many times, no right/wrong. I note that everyone in existence seem to know what right/wrong is, however. My dog knows. This knowing reduces harm to others and self. I admit to still practicing duality as I do not know how not to. From this stance, I would say that ritual satanic abuse of small children by those in power using mind control and various electrical apparatus is wrong. If we do not percive such things as 'wrong', how on earth will this suffering be stopped? Thanks, people, for you answers. Very helpful. We should not gloss everything with love and light and ignore the other side of the situation. Getting the whole picture with every of its twist and turn is very much needed right now. Like many of you said, i don't want to polarize myself in a dualistic way of thinking, for it's not the solution. That being said, the negative astral abductions are/were very real. Whatever they did to me was horrible. They tortured me emotionally and mentally over a long period of time, fragmented my soul and programmed my mind to self destruction (all my behavior indicates to a trauma based mind programming. There is a very deep rooted trauma in me that was not there before and the source of it i cannot trace back). I have some memories of reptilians visiting me constantly few years ago, and of course they implanted me with something. It fires constantly very low frequency negative emotions, sad memories, and blocks my heart chakra, my connection to the source. All the time i was resisting the mind programming and negative emotions, but never consciously realised how or why such things were happening to me. I was too tired of fighting back all the time. But at least now i know consciously. The other side of the situation is very real indeed and there are those who are focused on clearing it. Venturing into the darkness brings up much fear to be released, and for that we are performing a service to humanity. There are also those who are responsible for holding the love and light. We work as a team. For myself, I have been to that 'other side' many times and feel at this point, my path is to focus more on the Divine Plan rather than the cabal plan. If you are not familiar with Judy Satori's work, there are many activations and clearings here, and some for soul trauma. The transmissions in codes of light are powerful and effective. They may be able to help you, they are good people. I feel that those of us who have had much darkness may one day be able to experience more brightness than if we had not. I was being taught one of the Hermetic laws, cannot recall which one, maybe polarity. If the pendulum swings greatly to the side of unhappiness then it can swing this same large amount to the side of happiness. Someone experiencing more neutrality would not get as much negative but, by this law, would never be able to experience a greater degree of positive. Some of us voluntered to transmute a lot of darkness. and tend to get attacked a lot. See Denise Le Fay, certain starseed contracts. Hey I AM Love! I adore Judy Satori! I had the great fortune to meet her in person for a wonderful small workshop a few years ago. I've used her energy work since 2008 and it has really helped me prepare for change and for clearing the morphogenic fields where all that cellular memory resonates. Good referral, girl! Tom Kenyon rocks, too. I am partial to sound healing energy and these two have been really consistent for years. The proof is in each one's experience, I highly recommend both....hugs to you! Thanks all for the kind advises! Denise's articles are great and i was aware to certain degree of the psychic attacks, but never realised how far it can actually go. Lately i was guided to read Fritz Springmeier's book, interviews, and some other stuffs on mind programming. They were very heavy stuff, but i immediately recognized many of the victim patterns in me (constant battle with extreme depression without apparent reason, feeling traumatized, not feeling like being me, dissociated, just to name the few). It was not clear to me how that happened or what exactly, so i really wanted to know (it was not a good idea). That night i woke up screaming from the horrible dream that frequently visited me few years back. Well i leave it here. If someone is interested or wanna know if you had a same experience, then you can write me. Phew, there is so much de-programming and healing to do. The best trick they pull out is usually when one is not aware. Eiya and Tet's site is great, thank you! Really needed this kind of info to deal with the implants. Without dealing with implants/imprints first, the sound healing doesn't bring much result in my opinion. About 30 minutes ago, I went to pick up my GF from the metro station and as usual while I was waiting, I was looking up at the sky. Today is mostly cloudy and there were some breaks in the clouds that showed what was going on above the cover. CHEMTRAILS HO! Thick, long lasting trails stretching all the way out to sea. Seems they're trying to set the stage for tomorrows visit from Angela Merkel. While checking out the trials being left behind, I looked up and said "Can we do something about these? Get rid of them perhaps? I know they've been 'neutralized and aren't dangerous', but I don't want to see them anymore." Not long after I noticed an arrow straight shadow, and proceeded to trace out the shadow. It seemed to form a huge triangle. When I say huge, I mean miles from tip to tip. My GF got in the car and I pointed out the shadow and asked her if she sees it (without telling her a shape) she said "yea, a triangle." Ship under cloak perhaps? The thick trails are now completely gone, however the planes are still trying to lay them out. The trails now are back to dissipating immediately after they get laid out. If what I saw was what I think it was, then IT'S ABOUT FREAKIN TIME. :) Until we meet again. Love & Light my family. All the info can be found by going thru the business archives. The grip of the dollar is being pried off of people’s countries. They’ve had enough and aren’t taking it anymore. The end to the fed is here. If you’re broke, you’re broke. You have no wedge on the issue. Perhaps, your debtor will be kind as they dismember you. lolol That’s it, once the legalities, were taken care of, then massive global scale movements started happening. As usual, it took them a week but the moves were irreversible and sustainable. Loose lips sink ships so, I thought it best to keep my mouth shut as they got things done. They ARE reading emails and adjustments are made, accordingly. The dark one’s are on the losing side of this operation but that does not seem to shut their mouths. Like visions in a nightmare, they taunt from the sides on anyone paying attention, they will lie with no regard that they are. This is the time, you need to use YOUR grey matter and decipher them. The game was always rigged and first thing you have to do, is accept that. The big picture is working just fine, your place in it is up to you. Do not use fear, to make decisions with. It injects toxins into everything it touches…constantly creating unintended results. Learn to use Love as your weapon…the double edged sword of truth. Your time for putting all this stuff to use, is here….opportunity, with a big O. Use what the good lord gave you. Some are speaking for themselves, they are simply waiting for disbursement orders. There are things being activated long forgotten as a pipe dream, last I heard there were 70+ programs and each one comes up you may find your self being invited bank [back] to the bank to fill out some more papers…and they Will find you, even if you are hiding from an ex. They need you to be the mule and spread this stuff out. End world poverty and hunger, take care of the down trodden, the elderly and the children. Be a stewart [steward], sit down, think about it, and then engage. The ‘collective’ of you all doing what needs done. The circles will begin intersecting, causing the whole world to be covered in goodness. As they say, ‘money talks and b…s walks’. Now go in peace, shake the dust off your feet, and enjoy your future. "Are we about to see incredible changes for the positive? Will the end of the Mayan Calendar bring triumph rather than disaster? It's time to share the information I've been hearing about major changes we may be about to see. I hope you enjoy it!" "These negative forces will most definitely be exposed on a mass level. Imminently. Exactly how imminent, I am not certain... but it would definitely appear to be before the end of this year. No more mainstream media lies. No more mass denial. This is going to be the Big One." I have clearly been told that we will first see something that looks like a very scary economic collapse — but that we will come through it miraculously unscathed. The fear is much worse than what will actually happen. 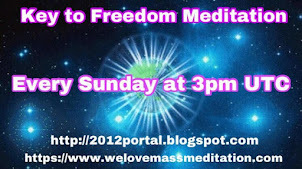 Encouraging new message from 'Gaia Portal'. Seems that we are really making positive progress towards 'freedom from negative infuences on this planet' now. Refinements of 5-7D Gaia grids continue at a higher rate. Exponential increases of connections during the 10-7 to 10-12 period are expected. ** All Light ground operators can expect a sense of upliftment into Higher Realms during this time period. Those operating from Higher D senses will be operating more fully from 5-7D during the 10-7 to 10-12 period and may experience extended periods of seeming light-headedness. Precise description of this is “Light-headedness”, as Higher D energetics reconfigure (rewire) Hue-man brain electrics. So-called “normal Earth activities” may require temporary suspension. Inner Earth Light outflow will peak at the 10-10, followed by a leveling, prior to subsequent exponential increase during the 11-1 through 11-12 period. "...October 7th as certain opposition from the dark forces has been removed." Woo hoo, 'bout time! I can go for that!!! Some interesting reading in Ben Fulfords article this week. In the US meanwhile, the Pentagon has been working closely with the US militia movement to coordinate the dismantling of the UNITED STATES OF AMERICA CORPORATION and restore the Republic of the United States of America. As mentioned above, key cabal members have already started vanishing one by one from public view, according to pentagon and agency sources. In the cabal controlled US election farce, meanwhile, the Pope and Queen have been funneling billions of dollars each to get Obama re-elected as US president, according to Italina P2 Freemason sources. They are fighting against the Bush crime family who want their front man Romney in power. In either case, this intelligence insulting show will be decided behind closed doors and Mossad companies, who count US votes, will rig the results accordingly.